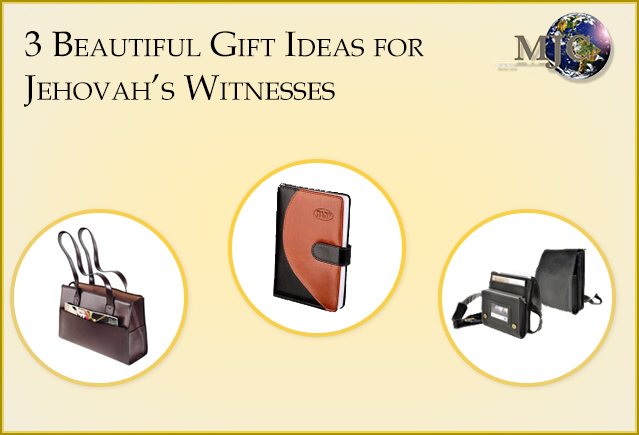 If you’re one of the Jehovah’s Witnesses or have any of your friends or family are, you can get a wide range of wonderful gift items made specifically for their needs. 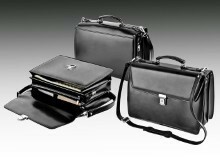 You’ll get beautiful meeting cases in leather, leatherette and vinyl along with other high-quality items to hold and carry your meeting supplies. These meeting cases are designed for people of every age – the adults can choose from an extensive collection of black or brown colored all-purpose cases while the kids can go for delightful black cases. You can use these uniquely designed meeting cases to hold your iPad, iPad Mini, galaxy or other tablets. MJC store is devoted to the needs and requirements of Jehovah’s Witnesses. The bookmarks, calendars, notebooks and meeting cases are with a purpose to serve every requirement in meetings, assemblies and conventions. You’ll find each and every thing you’ll need to fulfill your spiritual goals this store. You can also use these meeting cases and supplies to make a great gift for any age and any occasion. This entry was posted in Blog on June 24, 2016 by Michael Colon. This entry was posted in Blog, Jehovah’s Witness products on June 22, 2016 by Michael Colon. There are more than 8 million Jehovah's Witnesses around the globe. Modern day Jehovah’s Witnesses are known for their door-to-door evangelizing work and always have to carry different products and supplies to carry their faith with them. To help them make this easier, there is an extensive range of service supplies made available by different organizations. Select a black leather handbag with 3 compartments and easy access to your items inside the bag. Optionally, choose a Burgundy Leather Bag with 3 compartments and 3 smaller pockets inside the bag. These bags and the available range of supplies are easy to carry and the ideal choice for your meetings. This entry was posted in Blog on June 20, 2016 by Michael Colon. For conveying love and affection, greeting cards is a excellent ways to express those feelings according to the occasion. Get Well Soon: This greeting card can be given to your dear ones to express that your love for them remains constant in sickness or in health. Brighten someone’s day who is feeling gloomy with sickness. Thank you card: This card is a great way of expressing gratitude to someone who has helped you. You can gift this to loved ones to express thankfulness for being a part of your journey. Happy anniversary: Help to make a wedding anniversary memorable by gifting a ‘happy anniversary’ card. Thinking of you: Good friends are difficult to find and even more difficult to sustain the relationship with. This card can help that special friend to know they are in your heart. There is a card for every occasion that will help you to bring happiness in others lives and appreciation for your own. This entry was posted in Jehovah’s Witness Gift Ideas on February 18, 2016 by Michael Colon. Books are important Also and MJC has a wide range of book covers and notebooks available specifically designed for the personal lives of Jehovah’s Witnesses. Some of these covers with exceptional quality and value are listed below. 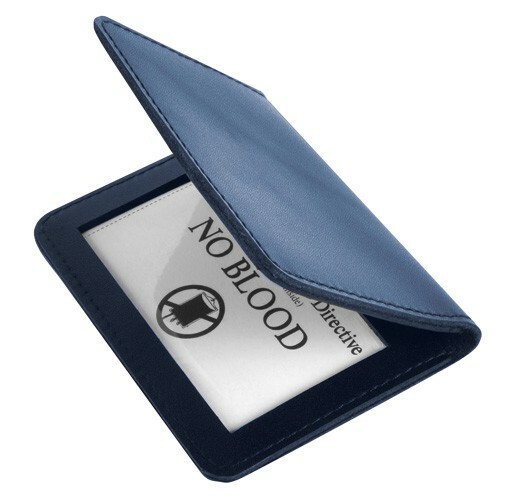 1)Handsome covers for pocket Bible: for people who like to carry a bible with them everywhere they go. This book cover will help them to protect the pages from snagging somewhere. This cover is available in different colors. 2)My spiritual notes notebook: This notebook is available in embossed leather on MJC products. It includes 320 pages and an attached ribbon page marker. It also contains a pen loop. Jehovah’s witnesses can jot down their spiritual notes in this notebook. It is available in black and red and many other colors. 3)Bible Teach Book Bonded Leather Cover: Available in Burgundy, this cover protects the book from daily wear and tear. The material used in this cover is leather to ensure its longevity. It is also available in charcoal and brown color. 4)Plastic Book Covers for Bibles: These plastic covers are for standard size Bibles. These fit perfectly on the new Grey Bible available at MJC. The plastic cover protects the Bible from harsh sun and moisture. Theocratic education is very important to Jehovah’s Witnesses, and the book we get for this are important to protect, and you can find covers for all our books at MJC, these book covers are helpful in fully accomplishing our ministry. 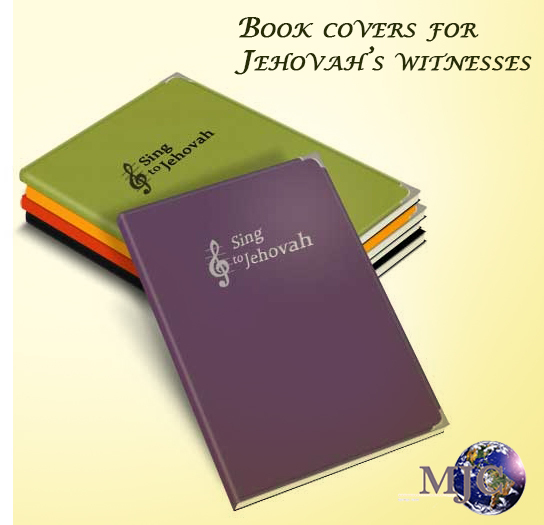 Jehovah’s witnesses can choose from a wide range of Book covers and notebooks available especially for them. This entry was posted in Blog on February 9, 2016 by Michael Colon. The Jehovah’s Witnesses do not accept blood transfusions. As per Jehovah’s Witnesses, heaven is limited only to 144,000 Jehovah's Witnesses. They also believe that there is no life after death. Although, Jehovah’s Witnesses come under the grouping of Christian religions, they do not celebrate holidays like Christmas and Easter. 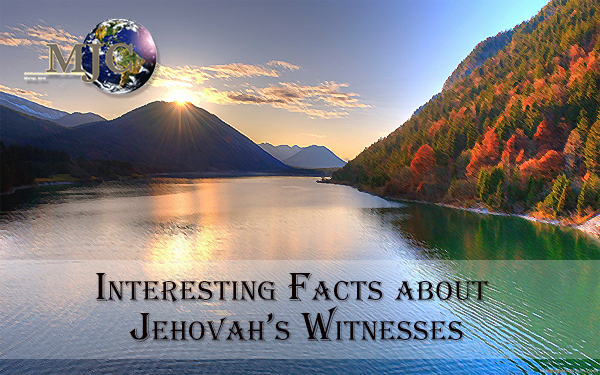 Currently, there are a number of Jehovah’s Witnesses around the world busy in spreading their scriptural discoveries. To help them carry out these practices, there are several online stores available, which offer a wide range of products and supplies specifically designed for the needs of Jehovah’s Witnesses. This entry was posted in Blog on January 29, 2016 by Michael Colon. 1)Service Bags: For many Jehovah’s Witnesses, often engaged in performing various service activities, a service bag can be the best accessory. It helps keep items such as their New World Translation (NWT) Bible, tracts, notebooks, pens, watchtower magazines, etc., handy and in an organized manner. 2)Preaching Folio: A preaching folio is a wonderful tool to help keep your books, tracts, magazines, and various other important items in one place. It makes everything you might need readily available. 3)Spiritual Notebooks: Preserve your lessons using spiritual notebooks. Perfect for taking notes at meetings, these spiritual notebooks can be found in a variety of styles. 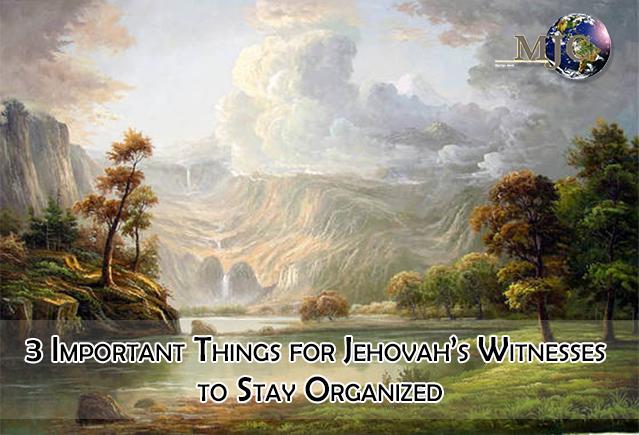 There are many other such products available online, to help make the lives of Jehovah’s Witnesses much more organized. This entry was posted in Blog on January 27, 2016 by Michael Colon. You are always looking for an organized and efficient life. These days our rigorous lifestyle leaves us with very less time to wish our loved ones on special occasions. Thankfully greeting cards help us making some days memorable for our near and dear ones. The ‘Thinking of You’ greeting card can alleviate your loved ones from distress. Your ‘Thinking of You’ card can relieve them of anxiety and show that you care. Cheer up your ailing loved ones with the ‘Get Well’ card. Hard times will be easy to withstand when your near ones will see your motivating ‘Encouragement Card’. This infographic very beautifully talks about the various cards meant for special occasions to give that exclusive touch to every event, happy, sad or surprising. A baby’s arrival is the most delightful moment for every parent. You can send your friends or relatives a ‘New Baby’ card to celebrate the arrival of the new addition into the family. Love is the most beautiful emotion in this world. Express your love more romantically with ‘Love’ card. The ‘Love’ card can express what your words may not be able to express. For many other greeting cards exclusively prepared for Jehovah’s Witnesses, see the below infographic. This entry was posted in Infographics on January 27, 2016 by Michael Colon. 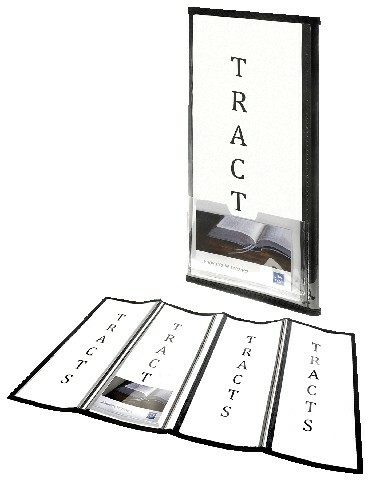 1) Tract and Watchtower Magazine Organizer: For Jehovah’s Witnesses who are always busy in meetings and service, this can be the perfect gift item. It is an ideal product to keep various ministry materials handy, easily viewable, neat, and clean. 2) All-in-one Service Bag: Another great gift idea for Jehovah's Witnesses who are actively involved in field service activities can be the all-in-one service bag. This type of service bag usually has a number of compartments for keeping different service related items in a handy and organized manner. 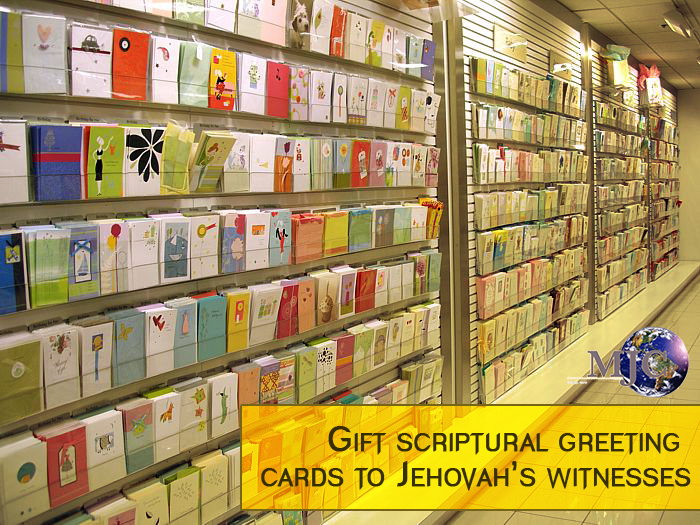 3) Greeting Cards: Different types of scriptural greeting cards can also be a wonderful gift idea for Jehovah’s Witnesses. Perfect for any event or occasion, you can present a greeting card accompanied by a Bible verse. It will surely bring a smile to the face of your recipient. In recent years, numerous stores specialized in offering products for Jehovah’s Witnesses have emerged online. You can easily visit these stores to find different types of products in one place. This entry was posted in Blog on January 12, 2016 by Michael Colon. You can buy MJC products online get the freedom of personalized shopping in the comforts of your home. With the click of a button you can buy whatever you wish, anytime. Specialized ministry supplies, which have been customized to the needs of Jehovah’s Witnesses, are available online. Jehovah’s Witness service bags are available online now. These attractive and useful bags help you carry everything you need to complete your daily chores well. These tailor-made bags help you and your loved ones fulfill spiritual goals in an effective manner. The Pablo-bag, All-in-one-Bag, Two-sided bag, Meeting Bag, Sturdy Burgundy leather Handbag, Small Leather bag, Little Master Briefcase, Samuel Bag and many others are some of the utility supplies that MJC products have. These days trusted online retailers are offering a massive range of ministry products. You can find all you need to be more organized. Be it any occasion greeting cards, or other needs like magazines and tracts holders, book covers to protect your Bibles, leather meeting bags, appointment calendars, binders, and notebooks just right for assemblies, meetings, and conventions. This entry was posted in Jehovah’s Witness products on December 22, 2015 by Michael Colon.